CAPE TOWN — New research indicates that up to 40 percent of new mothers experience postpartum depression in South Africa. 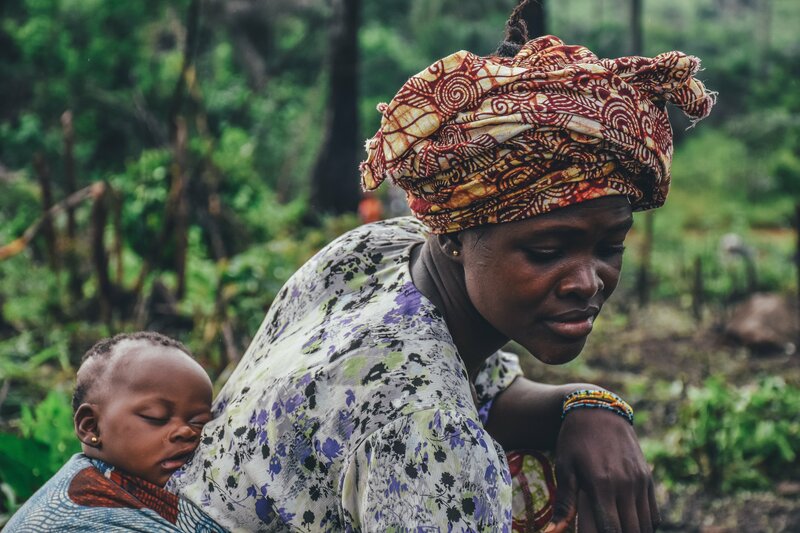 However, with increased support from organizations such as Every Mother Counts, the Perinatal Mental Health Project and the World Bank, more women are getting access to the essential mental health care they need. Every Mother Counts, founded by Christy Turlington Burns in 2010, is an organization which aids maternal depression in South Africa. The organization advocates for women all over the world to have the opportunity to enter motherhood and not only survive but thrive developing their families. Every Mother Counts seeks to mobilize communities to act and increase awareness for equitable maternity care. If mothers do not receive treatment for their mental health needs, it not only has adverse effects which may also impact their children. Every Mother Counts reported that mental health illness in mothers is linked to maternal and infant mortality. The organization found that it jeopardizes the development of the fetus which results in premature births and low birth weight in infants. The Perinatal Mental Health Project (PMHP) also works to strengthen health and social development systems so that maternal mental health care may be provided to all women who need it. The PMHP — which is based in Cape Town — serves to address the unmet need faced by pregnant and postpartum women for mental health care. According to the PMHP, there is a 20-to-40 percent chance of experiencing depression or anxiety around the time of pregnancy and childbirth. Through the organization’s support, women living in disadvantaged communities facing extreme hardship, severe traumas and little social support are provided mental health care to combat postpartum depression in South Africa. The World Health Organization (WHO) has also made strides to resolve the issue of perinatal depression in women all over the world. According to the WHO, health care workers should know that women who fall under this category of depression experience depressed mood, loss of interest and enjoyment and reduced energy leading to diminished activity. The organization argues that it is important to manage postpartum depression because infants of depressed mothers are more likely to be undernourished. As such, the WHO developed a Mental Health Gap Action Program (mhGAP) Intervention Guide as a non-specialized health-care setting as a tool to fight maternal depression in South Africa. WHO’s manual, Thinking Healthy is a supplement to its mhGAP geared toward community health workers. Their approach uses cognitive therapy in place of traditional medical approaches to counteract the effects for women who experience perinatal depression either immediately or within the first few months after childbirth. According to Thinking Healthy, Cognitive Behavioral Therapy (CBT) is an evidence-based and structured (step-by-step) form of talking therapy that aims to alter the cycle of unhealthy thinking and undesirable actions. Within the modeled structure of Thinking Healthy, there are three areas of focus: Mother’s well-being, mother-infant relationship, and relationship with people around the mother and infant. To counteract maternal depression in South Africa, the program focuses on mothers who are depressed or under stress. In this stage, the health care workers are focused on mothers who ignore their personal health and do not have the energy or motivation to seek appropriate health care for themselves or their children. According to the model, elevating the mother’s state of mind is vital to her overall health and reduces the risk of other health problems for her infant. Attention is also given to the mother-infant relationship as an essential aspect of the infant’s emotional needs. According to Thinking Healthy, an infant needs proper feeding interaction, the establishment of eye contact, verbal communication and stimulation through toys, pictures and books. This section of the model reflects how the infant needs the mother to be mentally healthy to provide positive interaction between the two for a regulated feeding for the infant’s body to be fully nourished. The last area of focus in the Thinking Healthy model encompasses intimate support from members of the immediate household (husband, in-laws, etc.) and community support from the neighborhood or community associations or even health workers. The last part of the model stresses on encouragement and support from the family as a vital component in order for mothers to achieve a better state of mind. The model establishes that marriage, church and community all play a key role in the fight against maternal depression in South Africa. At each stage, treatment is administered within a community setting in order to encourage family dependability and less hospitalization. The goal to address postpartum depression in South Africa involves ongoing support from organizations like Every Mother Counts and the Perinatal Mental Health Project. In addition, research and cognitive behavioral therapy from the World Health Organization’s Thinking Healthy supplement provide health care workers with the capability to empower women and their community to rise above depression and combat it through daily interactions.